Not everyone has the luxury of fishing from a boat. Many anglers are limited to fishing from the shoreline and casting outward into the lake. This is not always a disadvantage. 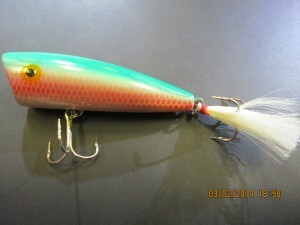 Many fish get accustomed to the lure presentation of boating anglers. Fishing from the shore and retrieving your bait in an uphill direction can often produce some nice fish. There is one problem and that is your bait is very prone to getting hung up on the bottom resulting in a lot of lost tackle. But, there are ways to effectively target bass without sacrificing a lot of gear. A good approach would be to target the different water columns top, middle, and bottom. 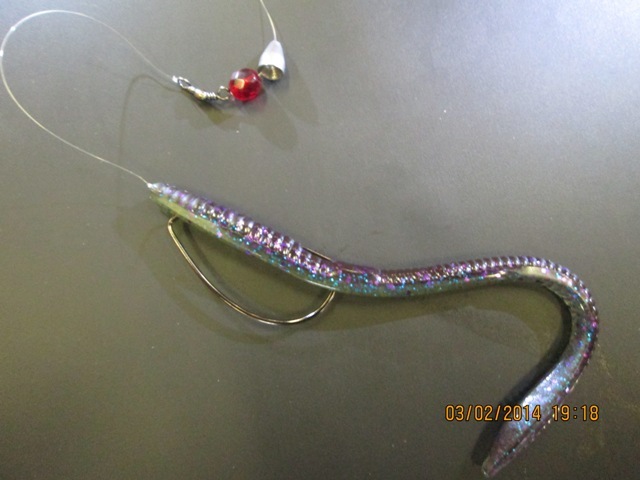 Here are a few basic rigs one should carry along for a day of shoreline bass fishing. For argument sake these are all rigs that could be fished on 6-10 pound monofilament and spinning tackle. To target fish that are feeding on or near the surface a top water plug is a great bait of choice. Small poppers and prop baits will resemble an injured minnow struggling on the surface. Rebel Pop-R is a popper style bait that spits and sprays water on the surface with a slight twitch of the rod. 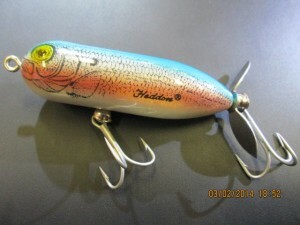 Heddon Tiny Torpedo has a propeller on the back of the bait that causes commotion and disturbance that will attract bass. To target fish that feed in the middle of the water column, try using a small spinnerbait or twitching a fluke subsurface. 1/4-ounce white/chartreuse spinnerbaits are fairly weedless and can be brought through rock and wood without hanging up. 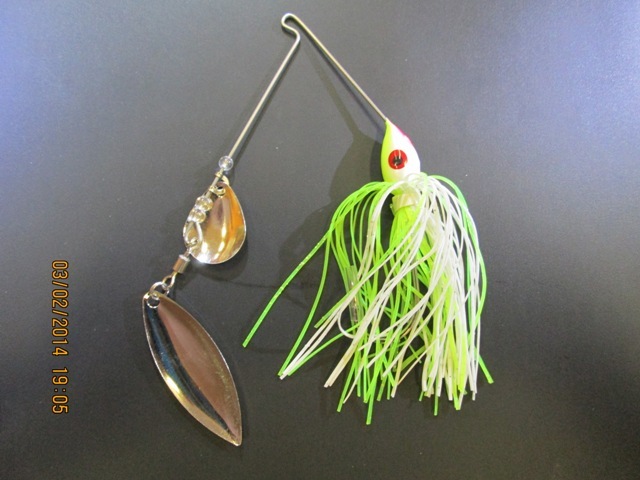 Zoom Super Fluke rigged with a Gamakatsu 3/0, 1/8-ounce EWG Weighted Worm Hook is very weedless and can be fished at various depths. 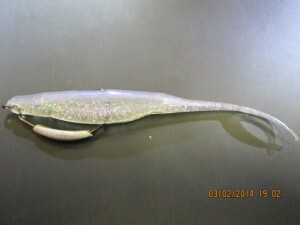 Fishing the bottom can be frustrating because you will loose tackle. But the bass will spend most of the time feeding on or near the bottom. 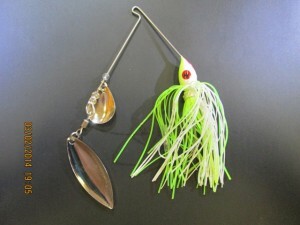 To prevent loosing a bunch of tackle try fishing with very little weight and weedless baits. A very light 1/16-ounce Carolina rig with a Zoom Trick Worm will hang up much less than heavier weights. 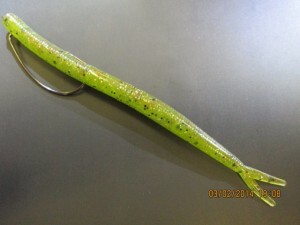 Bulkier stick baits have enough plastic and salt they can be fished without any added lead weight. Hopefully our recommendations help you catch a few more fish on each outing. The Department of Fish and game does not plant bass. Please photograph and release all bass at this time of the year. They are getting ready to spawn and populate the lake with fish to catch for generations to come. Send pictures of catch and release fish for us to include in our newsletter and website.